BUCHAREST (Romania), October 2 (SeeNews) - Romania's anti-trust regulator has approved the takeover of plastic products manufacturer Politub by local peer Teraplast Group [BSE:TRP], Teraplast said. Pursuant to this decision, Teraplast will buy 49.99% of Politub shares, in addition to an already owned 50%, thus gaining direct control 99.99% of the company, Teraplast said in a statement filed with the Bucharest Stock Exchange, BVB, on Friday. TeraSteel, a company owned by Teraplast, will own the remaining 00.01%. The agreement for the takeover was signed for an undisclosed sum in August. "Politub is a major pillar in the business of Teraplast Group. Through its products, which are complementary to those manufactured by the rest of the group, we have the possibility to offer diversified solutions to our partners," Teraplast Group CEO, Mirela Pop, said. "Although the factory already owns six highly efficient production lines, we will continue to invest in the development of this market segment." Politub is a subsidiary of Teraplast set up in 1994 in association with oil and gas group Rompetrol, now owned by KazMunayGaz, and French companies Gaz de France and Socomo-Socotub. It manufactures medium and high density tubes and pipes for the transport and distribution of water, gas, sewer or irrigation, fittings and segments, and polyethylene corrugated pipes. The polyethylene pipes plant of Politub, located in Teraplast Industrial Park, has an annual production capacity of over 10,000 tonnes. In September, Teraplast Group increased its planned 2017 investment by 14% to 96 million lei ($25 million/21 million euro). Teraplast sought the hike due to the multiple acquisitions made by the company in the first half of the year. 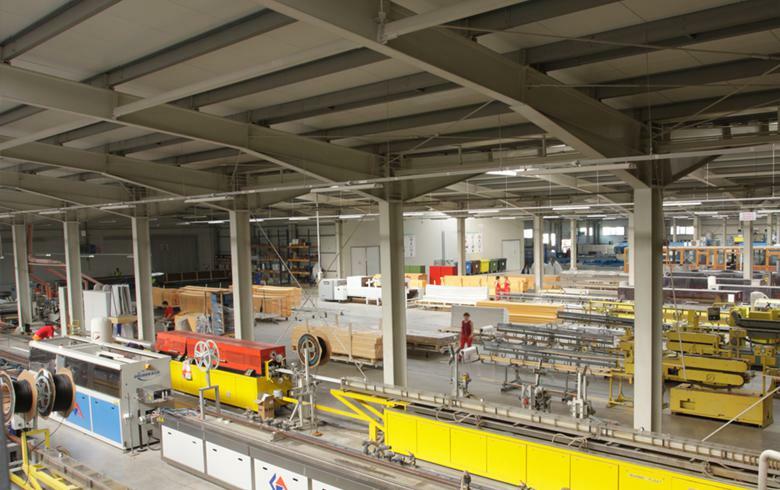 In June, Teraplast bought sandwich panels plant Interlemind in Serbia, which is expected to double the panel production capacity of the group, and acquired a further 10% of Romanian roof tiles maker Depaco, boosting its stake in the company to 60%. Teraplast's first-half net profit dropped 59% on the year to 7.89 million lei due to stagnation in infrastructure investments and client insolvency. Turnover fell 11% on the year to 171.6 million lei in the six months through June, as sales in the infrastructure field halved compared to the same period last year. Teraplast is Romania’s leading PVC manufacturer and one of the main materials manufacturers for the construction and installation market. The company was founded in 1896 in Bistrita, in northern Romania, as a ceramic tiles manufacturing unit. Teraplast shares last traded on Friday, when they fell 0.68% to 0.44 lei by 1517 CET, according to BVB data.